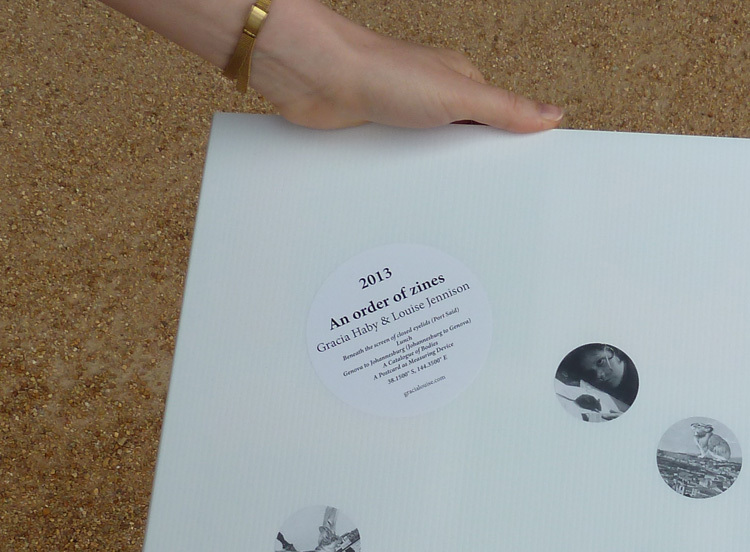 Housed in a handmade box fashioned from panels of corflute, all zine titles released in 2013. On the front, in circular stickers, title and image details from each zine. Each box is signed and editioned. Editions of this boxed set are in the collections of the State Library of Victoria, the State Library of New South Wales, University of Melbourne Library, and Monash University Library.